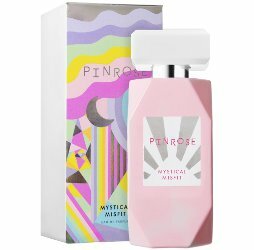 Pinrose has launched Mystical Misfit, a new fragrance for women. Twirl to the beat of your own magical drum with this extraordinary blend of fruit and patchouli. Best worn with your unique perspective. Additional notes for the floral fragrance include cassis berries, peach, rose and jasmine. Pinrose Mystical Misfit is $65 for 50 ml Eau de Parfum, at Sephora.